I suppose it's Murphy's Law that the day after Eid will dawn bright and beautiful after the cold and rainy weather of the previous day. Due to to extended celebrations my entire household was in a really laid-back mood. The two younger boys had parties to attend later in the aftrennoon so hubby and I decided to make the most of the gorgeous "free" day. Cape Town weather is so unpredictable one never knows what to expect next ! Ghaalid and I thought we would treat Ziyaad to some special treats... But there was so much on offer to choose from! In the end the gelato, macaroons and milk shakes were on their way. My new Asos maxi dress, with neon Country Road pumps and a vintage Guess denim jacket. My handbag (Nine West) is about 4 or 5 years old and a favourite of mine- I thought I'd bring in an unexpected pop of colour to compliment the neon shoes. My necklace was bought at a silver boutique and the pearl cuff from Woolworths. The aviator sunglasses are Dolce & Gabanna and the watch by Guess. Wednesday evening was the #80's Rewind Festival at Grand West. The idea was to accompany hubby who was keen to attend, and in exchange he would join me at Linkin Park the following week. To say that I was bored would be a massive understatement! About an hour and a half into the concert I recognised ONE song... " I am the one and only". To add insult to injury it was sung by an artist other than the original, Chesney Hawkes. Another hour and a bit of actual snoozing... And Belinda Carlise shot onto the stage looking pretty darn hot for a 54 year old! I just don't understand a woman who doesn't want to wear shoes though?! Then a bit of browsing through the food court, the current performer was so bad we needed some reprieve (and even aimless browsing was a reprieve!). Rocking my neon biker at the 80's Rewind Festival-looking a bit windblown! 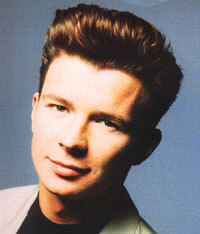 And in the final 40 minutes, The Man, Rick Astley, graced us with his presence. Just as I remembered him back in the day with that velvety voice and perfect hair. This was defintiely the highlight of the show! Looking forward to Linkin Park next week!